With temperatures in the teens on Sunday in Indianapolis, the Indianapolis Animal Shelter is out of kennel space to shelter dogs left in the cold. INDIANAPOLIS — With temperatures in the teens on Sunday in Indianapolis, the Indianapolis Animal Shelter is out of kennel space to shelter dogs left in the cold. 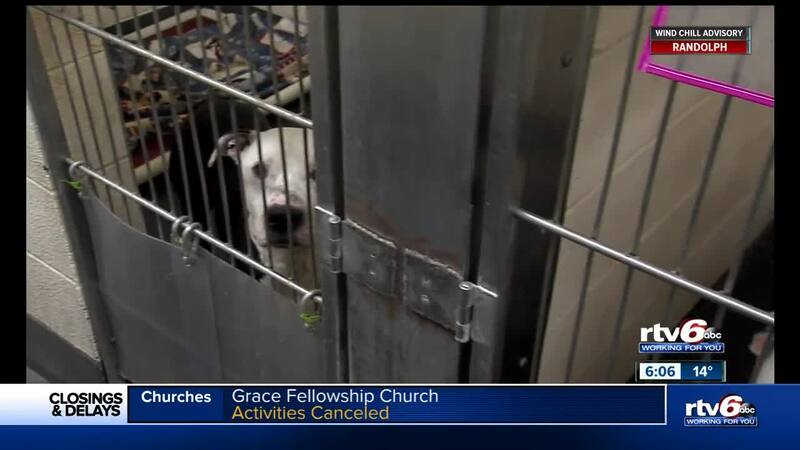 In a Facebook post, IACS said all of their dog kennels are full and the conditions of the shelter are critical. IACS is offering free adoptions with a donation from their wishlist. After an ordinance went into effect in 2015, when temperatures are 20 degrees or below, all dogs must be inside. IACS said they will still take neglect dogs to get care they need, but do not have kennel space for them.